Personally, I think words should be introduced by ease of spelling. 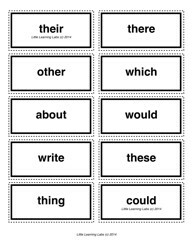 To that end, I've made this set of sight words cards based on their frequency of use in the English language AND their spelling length! 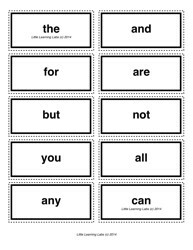 Practice your basic vocabulary with this 30 card set of common 2-letter sight words. Included are instructions and some teaching suggestions. Use your own creativity to make up even MORE games! 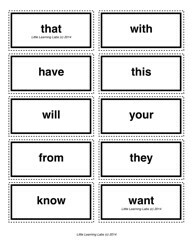 This is the 2nd set of sight words cards. 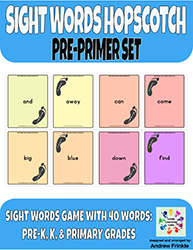 Practice your basic vocabulary with this 60 card set of common 3-letter sight words. 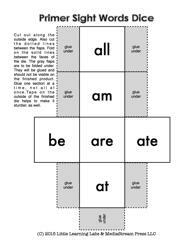 This is the 3rd set of sight words cards. 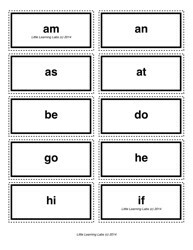 Practice your basic vocabulary with this 70 card set of common 4-letter sight words. 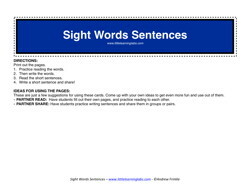 This is the 4th set of sight words cards. I may make a longer word length set later, depending on the demand. 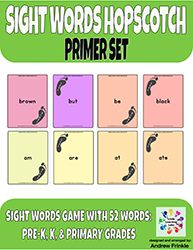 Practice your basic vocabulary with this 60 card set of common 5-letter sight words. This is the pre-primer set of sight words dice. 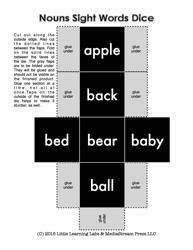 Get all of the Dolch Sight Words on 2" dice with large print for easy reading and learning! Use your creativity to make some awesome games and learning activities with these! 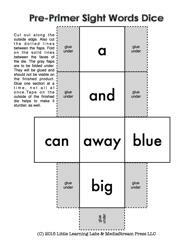 This is the primer set of sight words dice. Get all of the Dolch Sight Words on 2" dice with large print for easy reading and learning! Use your creativity to make some awesome games and learning activities with these! This is the 1st grade set of sight words dice. Get all of the Dolch Sight Words on 2" dice with large print for easy reading and learning! Use your creativity to make some awesome games and learning activities with these! This is the 2nd grade set of sight words dice. Get all of the Dolch Sight Words on 2" dice with large print for easy reading and learning! Use your creativity to make some awesome games and learning activities with these! 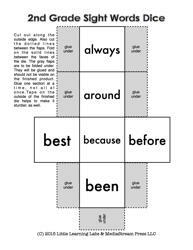 This is the 3rd grade set of sight words dice. Get all of the Dolch Sight Words on 2" dice with large print for easy reading and learning! Use your creativity to make some awesome games and learning activities with these! 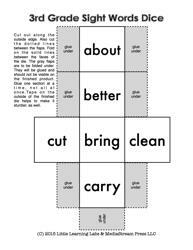 This is the high-frequency nouns set of sight words dice. Get all of the Dolch Sight Words on 2" dice with large print for easy reading and learning! Use your creativity to make some awesome games and learning activities with these! Get your sight words hopscotch game! This set is for Pre-Primer Dolch Words. Check out the other sets, too! 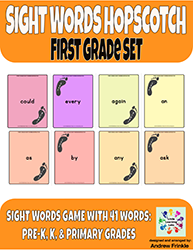 Get your sight words hopscotch game! This set is for Primer Dolch Words. Check out the other sets, too! 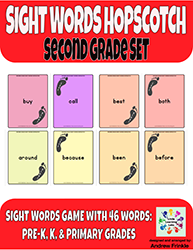 Get your sight words hopscotch game! This set is for First Grade Dolch Words. Check out the other sets, too! This is a great cooperative learning exercise, a great at-home lesson extender, and a great homeschool resource, as well.